I have found it to be quite common and even ‘the norm’ today for kids to not to do any chores, or to complain about the little chores they have to do. Some parents are quick to do everything themselves just to avoid the arguments or the nagging that can take place… but in the long run we must consider what type of adult we are actually rearing while we parent our children. Children come into this world with a fullness, knowing who they are, open, and being very inclusive and embracing of others. As parents, we are offered the opportunity and responsibility to nurture our children to evolve, to be the ones who guide them as they grow into adults and to be all that they were divinely designed to be in this world – bringing their unique expression in full. 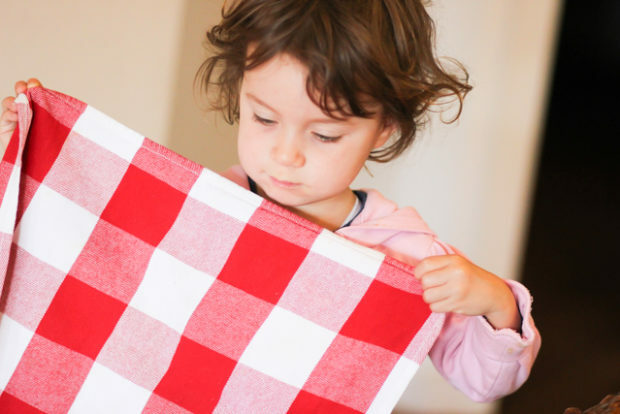 In our home, doing necessary jobs around the home has always been something that we have seen to be a very foundational thing that supports a child’s development. In the beginning, I used to think things like chores helped kids to be responsible, manage their time, learn about the value of money and understand that things in a house don’t just happen. But today I can see that chores, for kids, provide way more than that and actually, when communicated in a true way allow the grandness and brotherhood that they already come into this world with to remain there naturally so, while also setting them up to be purposeful adults in life, who know that their contribution and quality is valuable. Our homes are like a training ground for our children. Participating in the home supports children to have the awareness to know that they are an equal and necessary part to the whole – that their contribution is an integral part for a community to work in the brotherhood we all know innately. In our home, chores do not have an arduous label attached to them, nor are they communicated in that way. We have all come to see them as one way we can each support one another and consequently, our home environment, to be in the way that we all enjoy… an environment and space that allows our bodies to remain in their natural, surrendered and true way of being. Of course, our coming to feeling this way about chores was a process in itself. However, it became a choice that made complete sense and was easy to feel when we brought it back to care and love. As parents of this home, it was clear to see and feel the support contributing to, and completing, daily jobs around the home offers children. They become simply one activity where children are able to express their innate quality of working together for the all. In our home, we all know we enjoy a harmonious space that allows us to simply be: one that is clean and ordered and one that our bodies can surrender and feel at ease in. The way of being, the things we do and the way we do them all adds to holding this supportive space, and it is one that we are all responsible for, including kids. When other children visit and come to play, they too are a part of our family and the way the household works. And from what I have seen, they actually love the consistency, order and care and are more than willing to contribute to the quality of the space they are part of. Today I hear from parents and kids about how much parents do around the house and how seldom young children are encouraged to contribute (e.g. children not taking responsibility for the space in their room or sorting their own school bag out), and how children don’t participate in the running of the home and activities in their later years, with parents at times feeling undervalued, with little appreciation shown. By not giving children the opportunities to develop these skills and responsibilities earlier on, we can contribute to creating patterns and attitudes from teenagers that can feel self-centred, with them unappreciatively wanting more from life and others. With a supportive foundation, our teenagers are being offered to be helpful, understanding, appreciative and are able to contribute to life. Our homes can be an amazing place where we guide our kids before they enter into the big wide world. A world that let’s be honest, desperately needs people who are loving, purposeful, there to be in true service and act in brotherhood. It is part of parenting to support children to be able to not only understand life, but to be equipped to fully contribute and bring out their inner qualities, such as true love, true care and true responsibility to everything they do, to know who they are and feel confirmed that they are everything before they do anything. Through each member of the family taking responsibility for jobs around the home I have come to massively appreciate all they offer a child. This is becoming more and more evident too as the years pass. Each of us in our home have things that we specifically do, while also attending to other chores if we see they need to be done to hold the care we have created in our home. We are also well aware of the unique flavour each one of us offers and appreciate each quality. We know the support working as one offers, and the appreciation family members feel from our help. Have the space and time to feel how our flavour supports the whole. As adults – all adults – it is our responsibility to offer our kids the most practical guidance and reflection possible. This may sometimes be something our kids don’t like to step up to, but with loving understanding and a holding of consistency from us, they begin to see that it comes from love. We are raising the future and it is our homes and schools that are the training grounds for our children who will one day be the adults sharing themselves with the world, and it is our responsibility to support our children to know themselves in full and letting their natural brotherhood and essence shine through. By Johanna Smith, Bachelor of Education (Major Special Needs, Minor Psychology, Graduate Certificate of Early Childhood, Studying Diploma of Counseling, Esoteric Complementary Health Practitioner, Woman, Teacher, Mother, Wife and Friend. I love this blog, it is so important in fact It would do well to give a copy to all expecting mothers. Imagine our society if we brought all children up to live this way. Any child who is brought up to be truly responsible will become an adult that contributes fully to society in a way that will inspire others to also live the love they know. We can shun responsibility now but what are we leaving behind for everyone else to clean up? “As adults – all adults – it is our responsibility to offer our kids the most practical guidance and reflection possible” I love this word – “Practical” its so important and actually often missing in our education.